Where is my car ? How Will I know ? GPS (Global Positioning System) is a constellation of satellites to determine the position of a point on earth surface. The geographic latitude and longitude plus the height are computed by the GPS tracking system based on the satellite position and signal time. The home delivery tracking system in UAE or a GPS assisted navigation device, in turn, computes the exact location, time, engine status and speed of the vehicle together with other digital input signals. The GPS Tracking service provides user with the interface for tracking the vehicle. 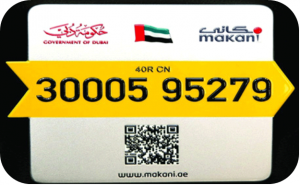 Certified and Approved to be used in Dubai Registered and Sharjah Registered Vehicles. We are approved by the DPS to provide Dubai secure path tracking services to all Rental Vehicles. We are also approved by the Sharjah Municipality to provide tracking services to Sharjah Registered vehicles under business categories - Rental Vehicles, Chemical Material, Desert Safari, Diesel Transport, Explosive Fireworks, Flammable Liquid, Gas Tanker, Gas Trading, Hazard Material, Petroleum Transport, Piling Contractor, etc. Sharjah Police approves Informap as the authorized vendor for Securepath GPS Vehicle Tracking Solution Provider. Secure Path is a vehicle tracking solution hosted by the Security Industry Regulatory Authority (SIRA) and it is becoming mandatory in the emirate of Sharjah. The Dubai Government has already implemented this and since 2014, we are one of the approved supplier of secure path services in Dubai. Now, this is required for all Rent a car Services at the time of renewal or registration of the commercial vehicles. Informap is the authorized supplier for providing Sharjah Police approved device, installing and issuing the secure path Certificate. Once the car is added in the secure path application, a TRACKER ID is generated to identify the vehicle in the system. Then, a Certificate is issued to the Rent A Car Company declaring that the vehicle is registered in the system. This certificate is required while registering or renewing the vehicle. Makani: Informap is an Authorised Makani address service provider. Informap system enables finding home addresses and business locations based on the Makani number. It helps call agents identify the exact building and their entrance from which a call was received. Restaurant Delivery Management Solution: ROMA is a smart solution designed for Restaurant managers to manage their delivery bike riders with their orders. Home delivery tracking system in UAE helps to minimize delivery times, optimize delivery schedules and track LIVE the delivery status of each order. GRL Addressing Service: Building or villa location map and address service provided using a 6 digit GRL number or Makani Number or Onwani Number or Sharjah postal code. This service allows users to drive the car straight to the exact building/villa access point or gate. Plug and Play GPS Tracking: Use portable trackers and move them as you please. Standard GPS Tracking: Fixed device used to track the car from anywhere in the world. Advanced GPS Tracking: Perfect for specific businesses to manage multiple drivers, Temperature & Humidity readings for FMCG industries. 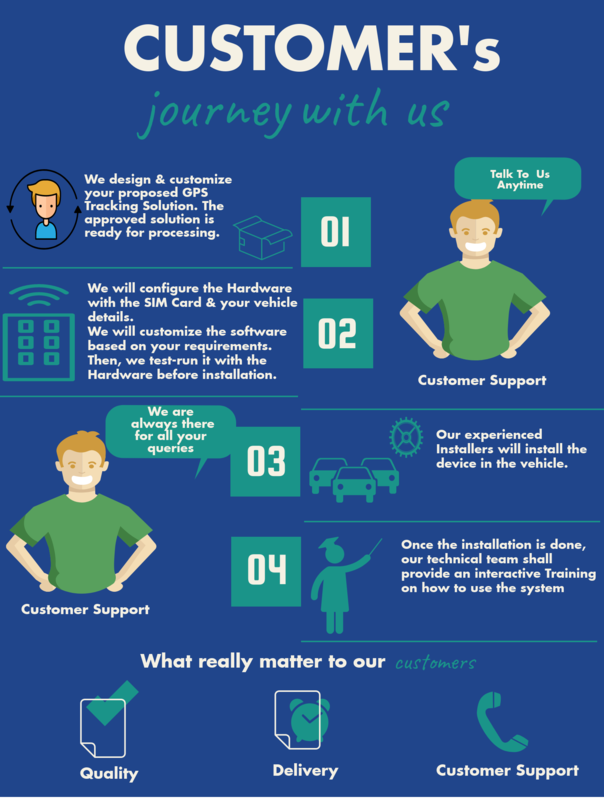 Customizable GPS Tracking: We can customize our Tracking solutions with the help of our inhouse software development Team and provide customisable solutions meeting your Business requirements. We meet and discuss in person with our client to understand their business requirements. Our Technical & Data Team will engineer out the perfect tracking solution. Once the proposed is approved, our client takes his first confident step to be our customer. A successful business journey with Informap begins here. As per customer's requirements, we always customize our Tracking Solutions. First, the GPS hardware is configured with the provided SIM & vehicle details. The hardware is now ready to be integrated with our very own Tracking Platform equipped with maps, reports & alerts. We test-run the whole solution. Our experienced installers install the GPS device in the vehicle. The installation procedure is done as per Informap's approved procedures. Our Support Team shares secured login details to their tracking platform. The Account Manager provides an interactive training session on how to use the system to track, to generate reports & Alerts. From here on, our Support Team is available all around the clock for a complete assistance.